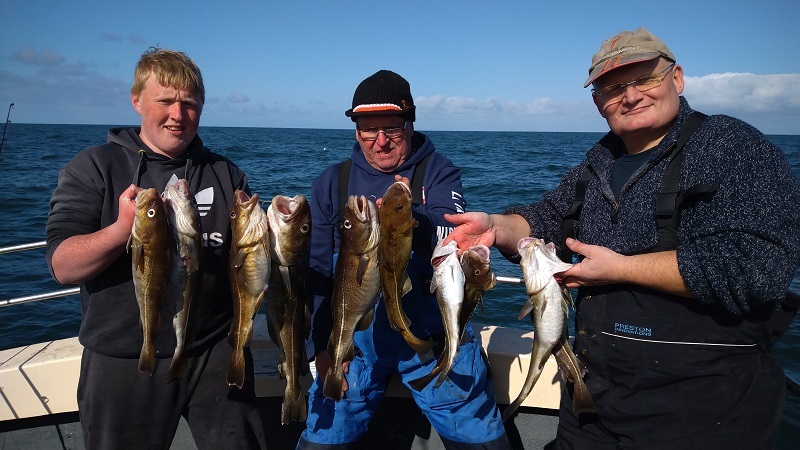 This last month has been hit and miss with a mixture of really settled weather and strong Northerlies. 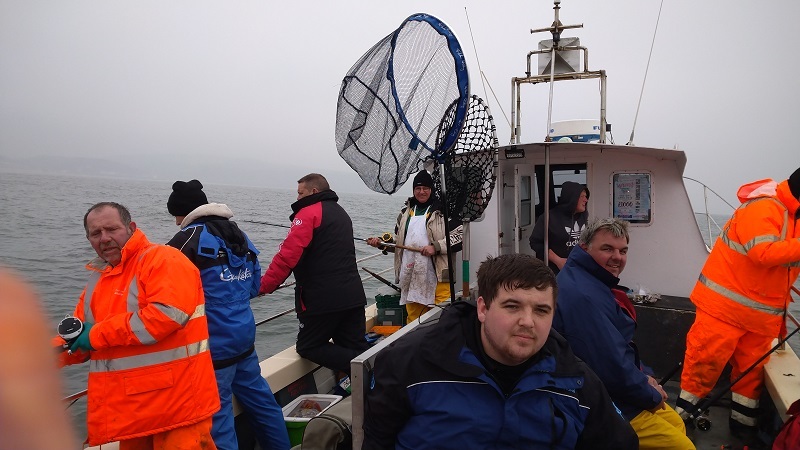 We’ve got to sea at every opportunity, with a busy schedule and we have always managed to get our Anglers on the fish. 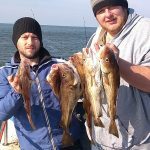 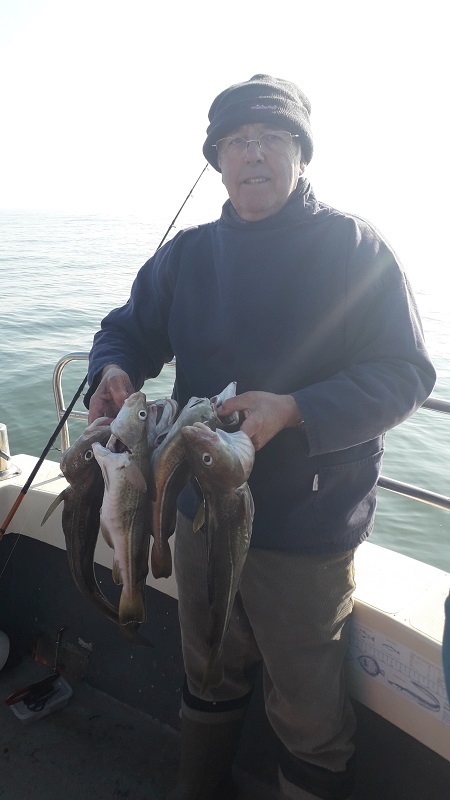 With the more settled weather, came clearer water which in turn made the Inshore Uptiding really hard work, however during the more choppy weather the swell was stirring up the seabed which created colour in the water and the fishing was good! 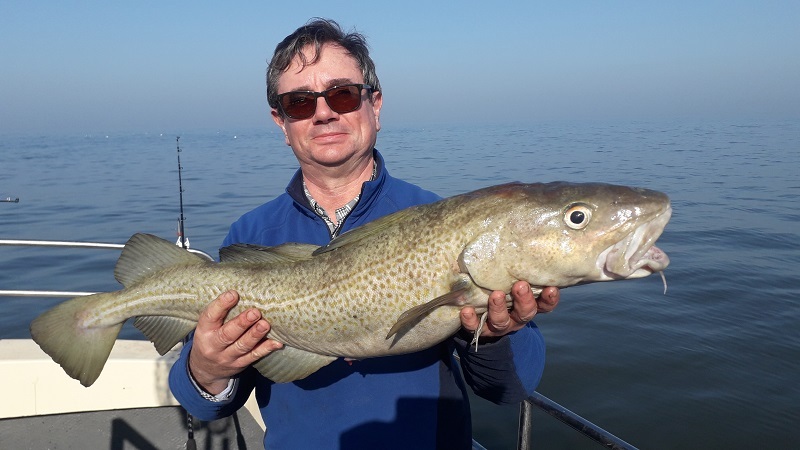 We’ve had some cracking fish over the rails, with plenty of Cod and plenty of undersized Codling now showing, which is always good to see. 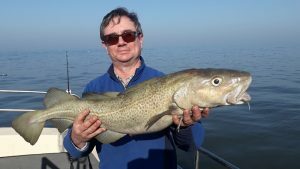 We have also had a nice Pollock to 8lb 2oz caught by regular David Jenkins. 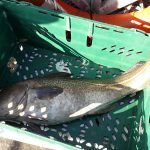 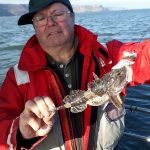 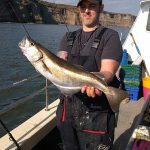 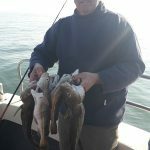 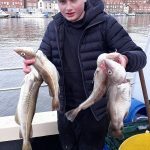 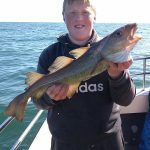 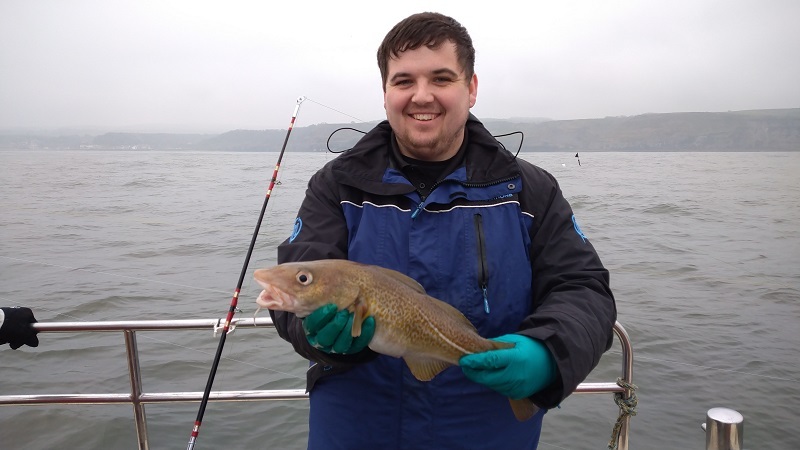 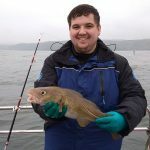 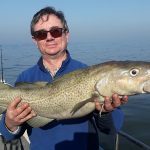 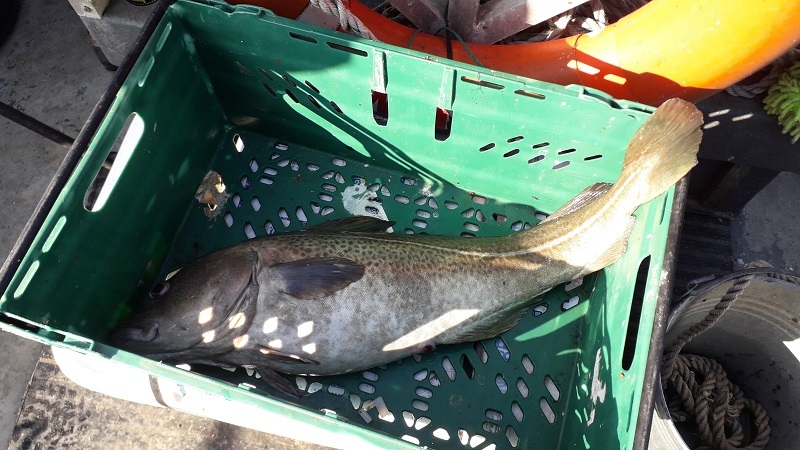 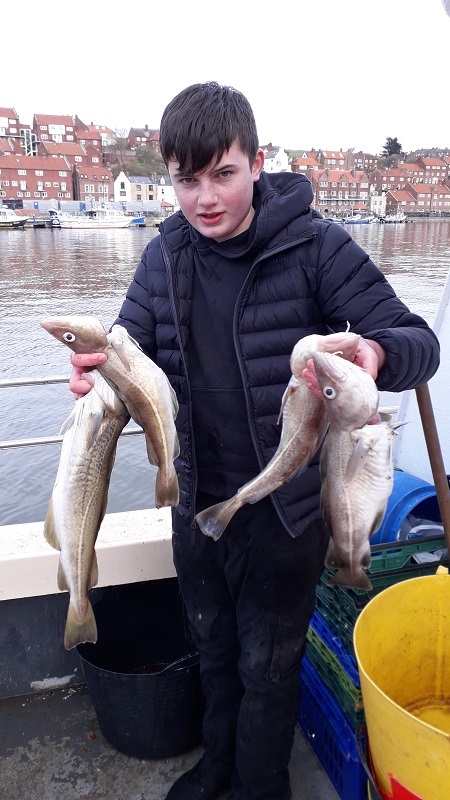 Also this past month we have seen the best line caught Cod out of Whitby for a while, with Phil from Derby bagging an 18lb 6 ounce Cod whilst Uptiding! 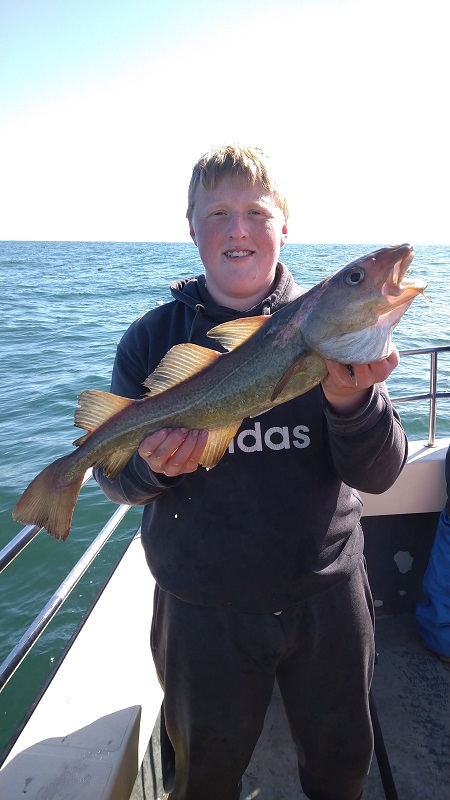 Fish of a lifetime and an absolute cracker and new Cod record aboard our new boat! 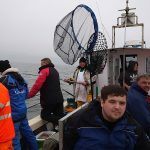 Phil has also won a free Trip of his choosing for his endeavours, chosen by our sponsor GDM Hosting, so get in touch Phil! 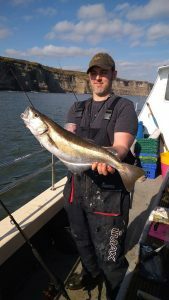 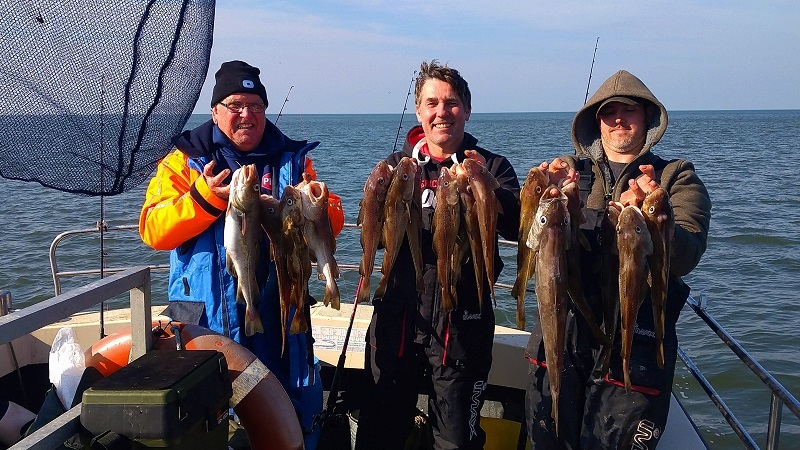 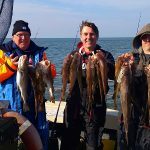 We have been one of the top boats in Whitby, with second to none catch rates! 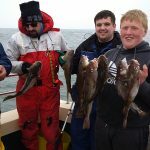 With the up and coming Spring Festival and of course the school holidays fast approaching we are the Boat to be on! 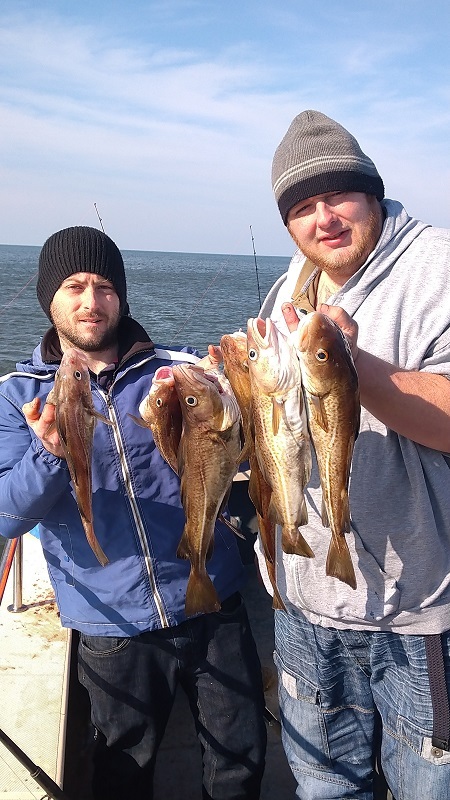 We go all out, to not just get you on the fish, but also a good species of fish. 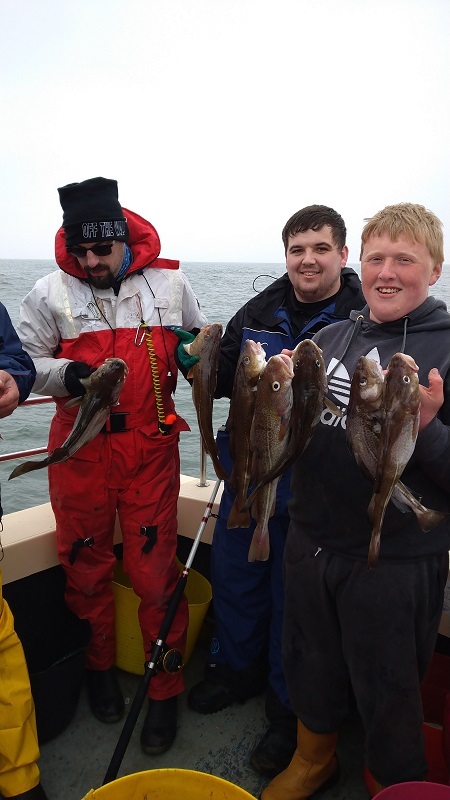 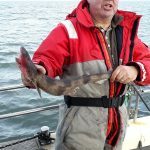 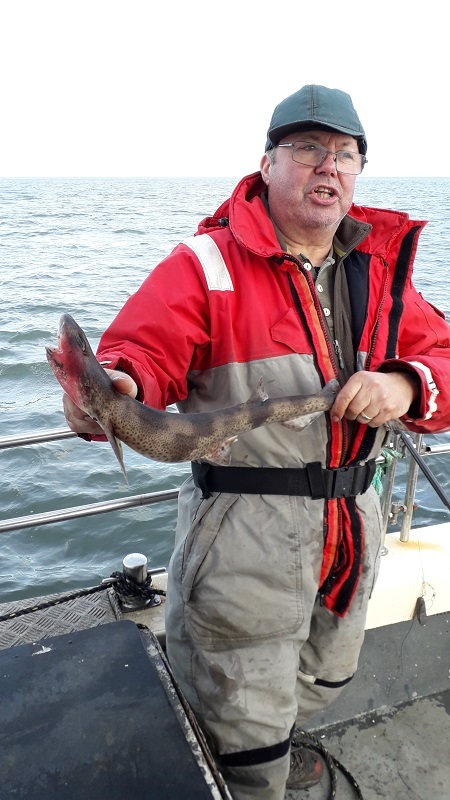 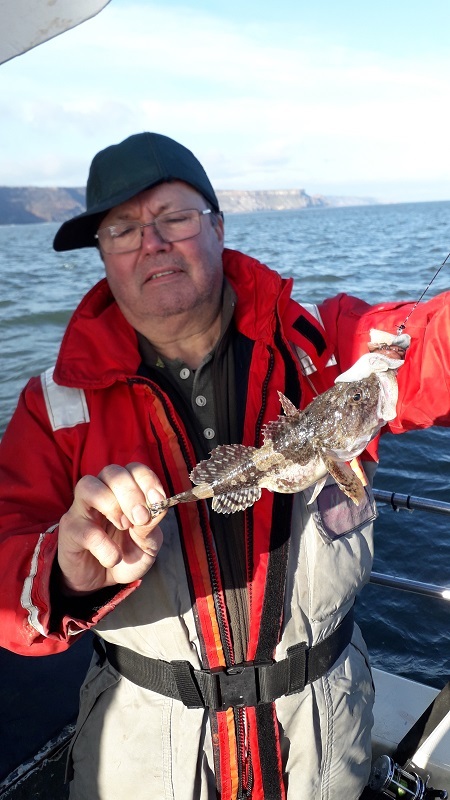 We had lots of species over the rails this past month such as Wrasse, Dogfish, Pollock and Ling as well as many others! 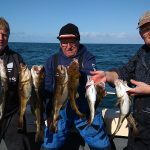 For more info, or to book a trip give us a call on 07470354403 use our Contact Form or check out our Social Media.